Welcome, everyone, to our final Road to the Triple Crown Teleconference for the spring. We’re down to the final Road to the Kentucky Derby prep races this weekend, both of them on Saturday. The Lexington at Keeneland offers ten points to the winner. But far more important is this very intriguing renewal of the Grade 1 $1 million Arkansas Derby. This race is worth 170 derby points with 100 to the winner. Right now, it looks like it’ll take you at least 30 points to end up in the derby starting gate and several of the Arkansas Derby contenders are still looking to cross that threshold. Later on in this call, we’re going to talk to Mark Casse. He’s the trainer of Eclipse award-winning two-year old champion, Classic Empire, who has 32 points. He’s only started once this year and we’re all dying to find out what kind of three-year old he really is. But first, we’re excited to learn more about the one Arkansas Derby contender that’s already comfortably in the Kentucky Derby field, and that’s the undefeated Rebel Stakes winner, Malagacy. His trainer, Todd Pletcher, has been really the only dependable part of this year’s Kentucky Derby trail with five horses in the top 20 spots in the derby leader board. He’s has an incredible 12 different horses earn derby points over the past seven months. And we’re delighted to be joined by him now. Todd, it’s Jim Mulvihill. Thanks for coming on. You’re welcome, Jim. Thank you. We’re always happy to have a little bit of your time. Now, just to confirm where we’re at with everybody, with the defection of one liner this week, first off, is there anyone else from your barn, aside from Malagacy, that can show up in the Arkansas Derby? There is not, no. He’ll be the only one we own there. Okay. Very good. Now, Malagacy went back to Palm Beach Downs after the Rebel and has had a couple awards there since. So, tell us how he’s been doing and what you want him to get out of this race on Saturday. Well, he’s trained well. You know, he’s a very kind horse to train. He’s a pretty laidback colt that doesn’t necessary tip his hand in the morning. He’s kind of push-button and kind of does what you ask him to do, does what his workmate does, doesn’t overachieve unless you really ask him to, and then he’s worked very well. So, it’s kind of been just, you know, a steady stream of maintenance work since then, trying to emphasize stretch him out in distance a little bit, and he seems to have handled everything we asked of him so far. So, we’ve been waiting for the Arkansas Derby base close since the Rebel. And knock on wood, everything’s gone according to plan. And it’s very interesting when we get to this point with a horse like this. You say you’ve been pointing for the Arkansas Derby, but you had the points after the Rebel. So, you are also clearly pointing for the Kentucky Derby. Is there a difference in the way that you train up to a race like the Arkansas Derby, knowing that the Triple Crown is still on the horizon? No. I mean, I think you’ve got to focus on the first task at hand. I mean, the Arkansas Derby [inaudible] in its own right [inaudible] million-dollar race. So, in his case, coming off two sprint races and his first route race being at the Rebel, we felt like another race was very important to his preparation, possibly for the Kentucky Derby. And he handled the stretch out the first time very well. And now, we just need to handle a little more distance again and continue to prove that, a mile [inaudible]and an eighth and beyond is going to be within his range. We felt like to is, based on the way he handled the mile on the sixteenth, the way that he is shown he’s very trackable, very rateable. But, you know, again, when you’re trying to do something that you’ve never done before, you’re hoping that they step up at each increment that you ask him to take on. Hi, Todd. Of the – not often mentioned, of the 45 horses you brought to derby, you’ve never had the favourite. Now, all of a sudden, there’s a lot of talk about Always Dreaming and Malagacy could certainly step up. How would it feel, I suppose, to walk in there with a favourite for a change? Well, yeah, you’re right, it would be a sort of uncharted waters for us. But, you know, I think along with that would be a sense of accomplishment in one way to get a horse there that would be considered the favourite. But I think along with that, I think you probably feel a little more pressure as well, as you normally would in most races that you’re favoured to win in. But, you know, we’re blessed to be in that position. We’re very, very pleased with the way Always Dreaming has progressed all winter and spring. And we’re very excited about running him in the Florida Derby. And we were even more excited after the race, and equally as pleased with the way he’s come out of it and the way he’s trained since then. So, yeah, we’re hoping that we’re in that position. That’s what you hope to be able to put your horse in that position, going into it. And knock on wood, as I said earlier, in all cases. But, you know, we’re just really, really pleased with the way he’s developed this winter. And we hope we can continue to have another three and a half weeks as good as the last three and a half months have been for him. I suppose you look at it as [inaudible] averaging nearly three derby runners in – I mean, if you go back, this is going to be your 17th derby. You’ve had 45 in there. Do the owners you work for, do they have a different mind-set from one to another about just wanting to get to the derby as opposed to wanting to have a horse that can possibly win the derby? That’s a good question. Actually, I think, you know, everyone sort of has a different mind-set. I think one thing that’s changed over the course of years is I think the points system has sort of given everyone the validation. You know, if your horse qualifies on points basis, they should go. And, you know, that may or may not be the case. But, you know, we’ve kind of always taken the approach that this is the race that is the reason why a lot of people are in the business. To have that opportunity, to have a potential starter in the Kentucky Derby, it means a lot to the owners. Part of the excitement for us is to see the enjoyment and the excitement that the owners get, having a participant in the derby, participating in the race, participating in the walk–over, the post-position draw. I mean, it’s – yeah, it’s a very, very exciting time. For us, you know, obviously, we want to do well. We want to win. You know, I think our derby records is not as good as we’d like it to be. But at the same token, I think we’ve had some horses overachieve on their way to getting there and in some cases, underachieve in the race itself. But, you know, we’re also very thankful for the win when we’re having it. And finally, just a simple question with a complicated answer, I suppose. How you regard this three-year old crop and how wide open this whole derby trail looks right now? Well it’s been definitely an interesting winter and spring. And the horses – you know, it’s kind of been back and forth. Some of them look very impressive and then not as impressive and then come back and run well. So, it’s been a little bit inconsistent. But, you know, that’s not unusual. And, you know, you’re going to have some attrition along the way. But yeah, I’ve always said that I think the best time to judge a three-year old crop is generally in the fall of the year when they start to compete with older horses. And I think that’s when you find, really, the quality of them. But, you know, I think at the top end, it’s a strong group. And, you know, in some of our horses’ cases, we feel like that, historically, they stack up pretty well than some of our better horses. So, we’ll hope that continues to be the case. Let’s talk for a second about Malagacy. You know, his pappy, Shackleford, was running Son of a Gun, it has a [inaudible]. Do you see any similarities with this horse with his daddy? Well, we’re kind of against his daddy. I wasn’t around him that much. He’s a horse that goes – is kind of a high-energy horse, sometimes got a little excited in the paddock and post-parade. But, you know, I think the main similarity I see, aside from the fact that they’re both chestnuts with a white blaze, is that they have that ability to show speed and also carry it over distance to ground. And I think that’s one of Malagacy’s strengths is he’s got a high cruising speed. And, you know, he proved in the Rebel that he’s capable of carrying it around two terms. But, you know, what’s impressed me the most about him is as fast as he is, he’s also very trackable and rateable and, you know, willing to sit behind horses when necessary. And Javier has commented that, you know, he’s kind of a rare horse in the sense that you can ask him to leave the gate and show you some speed and then you can quickly turn him off after you do that. And, you know, that one of the reasons why we’re optimistic that he’d handle a little more ground, and we’re hoping that continues to be the case. When we talk about Kentucky Derby, and obviously, you know, you’ve been there quite a bit, is derby fever a factor for Todd Pletcher, considering all the horses that you’ve sent to Churchill over the years? Oh, I think there’s no question. I mean, we’ve probably run some horses that, at the end of the day, maybe didn’t deserve to be there. They qualified on either graded earnings or points. I don’t know that I would classify it necessarily myself as derby fever. We’ve had some owners, over the times, that have decided, “Well, hey, let’s take a shot.” And the last thing I wanted to do is deny someone with a healthy horse the opportunity to say take a shot in the derby, as we know sometimes, you know, the Mind that Birds and Giacomos win the race. So, you know, you want to give that opportunity to your horse and the owner, if it’s there. So, you know, I think I wouldn’t call it derby fever. The one thing we do try to accomplish throughout the year is place our horses in prep races that we feel like they fit in and can do well and have some purse[?] earnings getting there. And I think, you know, that’s been one of our strengths over the years. Well, obviously, you can’t win if you’re not in, that’s for sure. What about Tapwrit and your thoughts on him after the Blue Grass? I was disappointed in his effort in the Blue Grass. And, you know, I think a couple of minor excuses. He didn’t get away from the gate well, kind of put himself in a difficult position going into the first turn. He was hung out a little bit wide on both turns at Keeneland, which generally is not an effective way to run over the surface there. Also, he came away basically last, going into the first turn and behind some pretty moderate fractions. So, you know, I think it was an off-race for him, an off-day, a dull performance. Maybe he didn’t like the track at Keeneland. We’ve also seen over the years, sometimes having a poor race in your final prep doesn’t always mean that you’re not going to run well on the big day. And I go back to Thunder Gulch when I worked for Wayne. I think he was fourth in the Blue Grass and came back and ran great in the derby, obviously. And for us, Bluegrass Cat, he had an off-race in the Blue Grass and we bounded with a really good second to Barbaro that was probably good enough to win a lot of derbies. Barbaro was just too good on the day. But, yeah. So, you know, the good news is physically, he came out of it well and we’ll try to work on a few things and hopes he likes the surface at Churchill. But we’re still confident that he has more ability than what we saw the other day and, hopefully, we can get him back in the right direction. I just have a quick two-pronged question. First of all, I know that Malagacy was originally entered for a tag – I believe it was $75,000 scratch and put in a special weight. Was that possibly related? You were saying that he didn’t necessarily always work all that hard in the morning or wasn’t all that great in the morning compared to the afternoon. And second of all, like did you ever expect him to be a derby prospect, or when did that really sink in that you have a derby horse? Well, the second part is we felt like, essentially, we had a derby horse when we saw him stretch out around two turns in the Rebel. That was important test for him off two sprint races. And yeah, part of the reason why we considered running him for maiden claim first time out was he hadn’t really shown – kind of shown his lazy side in the morning, really. But it was one of those things is we had a blessing that he actually got a temperature. I think it was the five-day entry. Literally, the day we entered him, that afternoon, he got a 102 change in temperature. So, we had to treat him for that and scratch. It was interesting that after that, he’d started to breathe a lot better. So, you know, sometimes you get a bit lucky. And fortunately, we didn’t expose him for maiden claim. And he’s shown that he’s far better than that since then. You mentioned the top end of this three-year–old class. And I was wondering if one or two or more had particularly stuck out to you as – I don’t know if favourite is the right word, but as the top end of this class so far? I don’t think it would be any secret as to which ones have been the most impressive. I mean, if you take the major prep winners, they’ve all look good. I thought that Irish War Cry was very good. I thought His Holy Bull was exceptional. You know, he’s shown that he’s a top-class horse on more than one occasion. I think Gunner Bay is a very good horse. Probably the track worked against him a little bit in the Florida Derby. But he’s been really a model of consistency. He shows up and runs hard every time. And so, I have a lot of respect for those horses. And as far you’re five that are in the top 20 right now, I assume Always Dreaming and Tapwrit are definitely aimed for the derby. Just as of right now, are Patch and Battalion Runner, are those both for sure coming to [inaudible] as far as you know? I’ll just ask you one follow-up, just to hear a little bit more of your thoughts on the Battalion Runner. I think he was the clear second, but is lightly raced. Is he one that you think has a good amount of improvement in himself? Well, I think you can certainly make that case. You know, the Wood Memorial was his first time around, first time at a mile and an eighth distance. He was coming off the 64-day layoff. And that was by design. But also, you know, reason to believe that he could potentially improve with that race under his belt. So, I think he ran a credible race. He had no excuse. Irish War Cry was better on the day. But, you know, we’re thinking if he comes back and trains well and takes to the Churchill surface, that you can make a reasonable argument that he could improve on that. Very good. Well, Todd, congratulations on an incredible spring to this point. And we’ll look forward to seeing you in Louisville. Good luck on Saturday. That was Todd Pletcher, who’s going to have, if everything goes smoothly from here until the first Saturday in May, five horses in the Kentucky Derby. And I appreciate Ron Flatter bringing up an important stat for everyone to keep in mind, that Todd has never saddled a favourite in the Kentucky Derby and does, of course, have one win with Super Saver in 2010. And now, we’re going to move on to our next guest and that is Mark Casse, who could be sitting on a big week at Keeneland. Several of his stable stars are slated to run. And I’m sure we’ll get some questions on all of them. But first, we want to get the latest on Classic Empire. He, of course, is the Breeders’ Cup Juvenile winner and Champion Two-Year Old Male. He was third in the Holy Bull and is only start this year. Then, he suffered a foot abscess and had a back issue that kept him off the work tab for a month or so. And I should also mention that Mark trains the Florida Derby runner-up in State of Honour, who has the necessary points for the Kentucky Derby. Well, thanks for joining us. We always appreciate your insight into what seems to be consistently a barn full of some of racing’s biggest names. So, we’ve got a lot to talk about. But first, let’s focus on Classic Empire. This year, things haven’t gone according to plan, I think it’s fair to say. So, I’ll just ask straight out, do you think he’s fit enough right now to win the Arkansas Derby? I think he is. If you’d asked me a month ago – or you told me a month ago that we could be where we are right now, I would have happily taken it. As you said, it’s been a tough road. But luckily, the last month has went very well. Do I wish we had another start? Of course, I do. But I put three really strong works into him. And the good news for – he’s not a big robust horse, he’s just an athlete. So, it’s not like he carries a lot of excess weight. So, that’s a good thing. And he has a tremendous amount of ability which will help him out as well. Now, I saw some of your comments after this last work. You seem pretty tickled, which is understandable, given everything that you’ve been through with him. But just tell us more of what pleased you specifically about that breeze in Ocala. Well, I’ve trained horses in Ocala for, you know, years and years at that. I taught his first work. We worked him with Airoforce, which – he’s a good horse in his own right. And I thought he worked well. Julien came up and worked him and he worked extremely well. The following week, Julien came in and worked him again. And that time, he worked even better. He kind of disposed of Airoforce much easier that day and then he galloped out really strong. So, that’s the Classic Empire that we know. And more importantly, he’s just a happy horse. He’s put on some weight. I watched him. I’m in Louisville today, but I watched him actually train through FaceTime this morning. And he went out and galloped. He’s just a happy horse right now. So, we know he has the ability. We just needed him to be happy and he’s happy now. And has a lot of that change been because of the change in venue? You moved him to Winding Oaks from Palm Meadows. Can you tell us more about that decision and what you think the difference is, just going a little bit north in Florida? Well, I think there’s probably a few things. One, as you spoke of before, you know, he had the foot abscess which was pretty severe. And, of course, I don’t know if getting off of – maybe changing the way of his gait maybe because he really hurt his back. And the other thing is it was a fairly warm winter in South Florida. It’s amazing. Giving that – being a Floridian like I am, the temperature change from just Ocala to South Florida, it can be as much 15 to 20 degrees in the winter time. So, I think maybe he just had some memories of what he went through down there. And he’s just a happy horse. He got to Ocala – of course, the weather was a little cooler. He’s spoiled. He got to go out and eat grass and graze. And I don’t know, but he is – anybody that knows him and seen him a month ago and seen him again now will tell you that he’s much happier, much brighter. And so, I think it was probably a combination of things. Are you concerned about this horse maybe? I mean, we talk about athletes being injury-prone. Is this horse injury-prone? I don’t think so. I don’t think so. I mean, you know, look what he was able to accomplish as a two-year old. Anybody can see what’s happened. You know, it’s not easy. There’s a lot of things that can go wrong and you need everything to go right. And it’s just – they’re athletes. They run very fast. A lot of things can happen. As we’re seeing, all these horses drop out left and right. So, I don’t think he’s injury-prone. He’s an extremely tough horse. So, when something – when he does show you that it bothers, it bothers him. He’s not a wimp – that’s for sure. So again, we’re happy where we’re at. Let’s put it this way. On Saturday night, win, lose or draw, we’ve done all we can do, and we’ll go from there. But I’ve never once counted him out. I know a lot of people have. I feel that ability-wise, he is the most talented horse out there right now. So yes, it’s been difficult. But we’re here, so we’re going to do our best. And how about, if you look ahead at the weekend in a perfect world, what would you like to see? I just want to see him run well. He doesn’t have to win. I’d love for him to win. But I think he’s – we’ve worked him from the gate a couple times. I think he’s going to show some speed. He’s going to be right up on the pace. And I just want him to go and behave. And, you know, a lot’s been said about, how is he going to last with the crowds. He won – anybody that’s ever been to Keeneland will know he won the Breeders’ Futurity. There’s a lot of people there. He won the Breeders’ Cup there. A lot of people there. I really don’t see it being an issue. So, we’re going to get him there. He’s going to fly to Arkansas on Wednesday. He’ll train on Thursday. And he’ll spend some time in the paddock Thursday and probably Friday. And we’ll be ready to go. The last four months we know have been challenging for Classic Empire. How much of a challenge has it been for Team Casse, going through kind of the ups and downs you’ve been through the last four months? It’s been challenging. Probably more so for some of, you know, our – maybe my assistants and maybe Norman than maybe me. 37 years later of doing this, I’ve learned to just roll with the punches a little better. But it’s tough. You know, when you have the Champion two-year-old and nothing is going right, it makes you scratch your head. But I also have to remember that we’re fortunate to have the Champion two-year-old colt. So, has it been tough? A little bit. But we’re tough. It just makes you tougher, right? What do they say? What doesn’t kill you makes you stronger. So, we’re a lot stronger. All right. Yeah, Awesome Slew. So, let’s talk about him for just a second. Man, that joker had some giddy-up at Keeneland last Saturday. What about that horse and what’s your thoughts on him? I was really proud of Awesome Slew. And as you know, we’ve only had him now for a couple months. Came with a lot of promise. Just kind of analysed what he’d been doing. And it was our opinion that maybe – I thought he’d make a big move and flatten out down the lane. And, so we talked about, decided, you know what? Our goal – I always, as I do with any owner, say, “What is our goal? What is it we want to do?” And Mrs Weber had said to me, “I would love to try the – to win the Met mile.” And I said, “Okay. Well, we have a couple options.” My option was to strop[?] him back and running seven-eighths, which we did. And my thought was if it was too short for him, that might come back in the Alysheba, then the Met mile. But the way he handled seven-eighths will come back in the Churchill Downs sprint. Just getting back to Classic Empire, Norm mentioned on Saturday, that you just want to get a good race into him. And you’ve already touched on that at Arkansas Derby. Is the biggest thing here getting qualifying points, do you think, for him? No, I don’t think so. I don’t think so because I think he has the finish one, two, three, maybe four. And if he doesn’t do that, then we’ll don’t need to be going to the Kentucky Derby. Then, we need to look elsewhere and maybe aim for the Preakness or do something like that. So, if he deserves to be in the Kentucky Derby, he’ll ride well. And, you know, the only thing would be unfortunately he got a little unlucky and something happened to him. But, you know, we made this bed, we’re going to have to sleep in it. So, I’m not worried about it. It is what it is. We’ve done all we can do. If he qualifies, good. Then, he deserves to go in. If he doesn’t, we’ll go to Plan B. There you go. Well, at least you’ve got a Plan B. That’s good. Mark, I appreciate your time. We wish you the best, okay? I didn’t say I have a Plan B. But I have Norm. Okay. Well, you working on it, I’m sure. You all will get a Plan B. [Inaudible]. We have a Plan B, Plan C and Plan D. Okay? Thank you. There you go. All right, man. Thanks, Mark. Appreciate it. When you look back on Classic Empire and the couple of times – I don’t know if refusal to work is the correct terminology or not. But when you look back on those two instances, can you definitively say that that was a result of him still being hurt or was it a personality issue? Or what was your thoughts, looking back on that now? Well, unfortunately, you know, Jason, they can’t talk. So, we can only speculate. I will tell you this and it is interesting because Norm and I had this conversation today. And I love the place. So, when I tell you this, I’m not, in any shape or form, knocking Palm Meadows because we love it, it’s been good to us. But it’s crazy. Over this winter, we’ve had five or six or seven horses that have ran out and not – refused to train. I don’t know what they see, what they do. Tapwrit was another one. She didn’t really refuse, she just ran outside. She didn’t want to go the right way. She only wanted to go the wrong way. And we didn’t push her that day. But we had two or three this week that will go out. They see things. They don’t want to do – I don’t know what it is. As I said, they can’t speak to us. So, I don’t know. I really – I don’t have a good answer for you. I can tell you that he had never done that before. You know, obviously, all he had was one day that he did it in Oaklawn, which was an entirely different type of deal. But he’d never done anything like that before. So, you know, I can only speculate. But the good news is he’s not doing it anymore. And the other question, it seems like – you know, obviously, this derby field, the way it’s shaping up, I think people are sort of hungry to find a star in this group. And maybe there are some stars. But, you know, if Classic Empire were to, you know, kind of bounce back and win the Arkansas Derby, there’s speculation that, you know, given his two-year form that he could still come into the derby as the favourite. Would that bother you at all if he were to win the Arkansas Derby and sort of pick up – back up on that sort of “horse to beat” claim? No. Not at all. Not at all. I hope on Saturday night, that’s my biggest problem. Mark, looking also at State of Honour, if both of them were to get into the derby, could you see a scenario where State of Honour could actually end up being Classic Rabbit space-setter? Or Classic Rabbit – there’s my Freudian slip. Classic Rabbit? Absolutely not. They’re owned by two different owners. They’re going to go out and do the best they can for each other – I mean, each individual owner. So, no, I wouldn’t – in fact, it never even entered my mind, to be honest with you. But a Classic Rabbit? I like it. Classic Rabbit? No. How dare do I even bring that in – bring that up in…? In terms of Classic Empire being washed out before The Holy Bull, are you – are we convinced at this point that the foot abscess might have been the cause of that, or would there have been some separate things? I think so. If he behaves that way again when we’re – you know, on Saturday, then that’s going to be – you know, that’s not going to be good because when he is in on his game, he doesn’t act like that. We were shocked. We had – and I just don’t see it. I just – this is a horse that you can take out. I had him the other day out grazing even. And people were calling me. My assistant was watching me. He goes, “You’re scaring me to death.” I’m on the phone on my left hand and I’m holding him in my right hand. Horses are going by. He doesn’t even care. You could let a six-year old take him out and graze him and he wouldn’t do anything. He is cool, calm and collected. So, whatever happened that day, I have to think it’s the foot. But if we see that scenario again, it’s not going to be good. So, I don’t see it happening. Norm and I talked about that again today as well. We were talking about that. We just were – that’ not him, that’s not him. Todd’s got Always Dreaming and a lot of folks are looking at him as the favourite right now. If Classic Empire wins this weekend, do you make them – do you reckon that they’re both favourites, or do you look at your horse as the favourite? How would you weight them? Well, you know, that’s a toughie. I’m guessing it would – I guess it would depend one, how easily we run, how fast we run. I maybe a little biased, but I have to think if our horse really runs well and wins, then he’s going to the favourite for the Kentucky Derby. But again, I may be a little biased. The questions that I was going to ask have been asked already, so I’ll go on a little bit different tact. You know, you’re really confident in your horse. You think he should be the favourite. You said before he’s the one to beat. I guess you’ve monitored the races this winter pretty closely. We just talked Always Dreaming. Are there any others that you would say, you know, that could be a tough sucker to beat on the day? Oh, yeah. I think Irish War Cry. I thought his races the other day was strong. He’s a beautiful horse. Graham Motion is a great trainer and definitely might put him right there. No, I get – not really. No, I think those two are the two horses that I would probably fear the most. You know, Keeneland at the Blue Grass was a strange race. I thought the Saint Anita Derby was a little – it was a little different. I think if you look at those horses, those are horses that Classic Empire – of course, it was some time ago, but he beat up on pretty good. And same thing with the Blue Grass. So, I would fear Always Dreaming and Irish War Cry, I think. Okay. And just a little out of the box, when he had these problems at, you know, the race rate where he came a little bit unglued at Gulfstream and then refused to work, was there any point where you thought of maybe shutting down and getting back to Point A and starting all over with him? Oh, yeah. And that was one of the – when I went ahead and sent him – at the point, I sent him on to Ocala. We had come to a point where I tried to be really patient and said, okay, okay, well, we still have plenty of time. When I sent him on back to Ocala, I said, “Look, either it works now or we’re going to just stop, regroup and worry about the summer.” And, you know, I relayed that to Mr. Oxley and he was fine with that. So, at the point, we went back to Ocala, we needed everything to go right. And knock on wood, luckily it has. Mark, before we let you go, can you give us a Catch a Glimpse update? It seems like she might be sitting on a return to form after a solid second on her come-backer? Yeah. You know what? She looks the best I’ve ever seen her look. Thought she worked well the other day. But this is quite a race. I mean, these races, at Keeneland, the Appalachian on the Thursday, I have two extremely good fillies in there and they don’t have to win. I mean, when you run at Keeneland, anything is possible. And Jenny Wiley is going to be a heck of a racer. So, we’re keeping our fingers crossed. But it’s going to be a tall task. And since you mentioned that that three-year–old filly turf stake, you know, I think it was last October on this call that you told us La Coronel would be the next Catch a Glimpse. So, tell us a little bit more about her. You know, I thought she had no chance in the Breeders’ Cup. She ended up getting it – the second time that I went in with a horse that I thought would be the favourite and would win and we drew the 14th hole. But it wasn’t just the 14-hole that got her. Going in on the first turn, another horse carried her out. Not only did he carry her out, but he also kind of had made her drop back because we’re trying not to go to the parking lot. And we lost all our positions. So, [inaudible] was – you know, I had to ask her to run down the back side. She made up, I don’t know, ten links or so down the back stripe and then was wide again. And it got her. I mean, she only got beat a couple links. I think if you had taken the winner and done it – reversed it, we ran something like 50 feet or 40-some feet farther than the winner and I think even farther than the same [inaudible]. Well, if you reverse that role, I mean, I’m sure we would have went a lot farther than, you know – we – I think we got beat two or three links. So, in our last race, you know, it wasn’t one of [inaudible] best rides. I think he’ll tell you that – and especially for a filly that was coming off a long layoff. We knew she was going to get tired and she ended up just [inaudible] gives everybody too much ground. So, she’s going to run good. And I mean, Dream Dancing has done absolutely nothing wrong on the grass there. Her last race at Gulfstream, she had nowhere to go for maybe an eighth of a mile. And when she got through, she just took off. So, you know, I thought coming in, till I saw her overnight, that we would definitely be the horses to beat. Now, I’m not so sure. Right. Well, like you said, that’s what happens at Keeneland. But Mark, we wish you luck not only in Lexington this week, but also, of course, in Arkansas on Saturday. And thanks for your time. We’ll take all the luck we can get. Thank you. Have a good day. All right. Mark Casse, trainer of Classic Empire as well as a slew of the top–turf fillies that are coming out at Keeneland this week. And that brings us to our final guest, one I’m delighted to talk to today, one of the sports all-time greats. And he knows a little bit about both the Arkansas Derby and the Kentucky Derby. And that is Hall of Fame Jockey, Pat Day. Before we bring him in, just let me give him a little bit more of an introduction here. Pat won nine Triple Crown races, including, of course, the 1992 Kentucky Derby aboard Lil E. Tee. And this will be the 25th anniversary of that long-awaited triumph. Pat will be on hand at Churchill Downs this year, working the derby for Derby Experiences, the official Churchill Downs travel and experience programme for fans who want to do the derby in a special way. That’s the All-Time Winning Jockey in Churchill Downs. And he owns four Eclipse Awards for Outstanding Jockey. All right. Let’s do that. All right. So, Justin, our operator, is going to give Pat Day another chance. And this seemed like an appropriate time to have Pat on for the reasons that I mentioned there. You know, he’s going to be working at Churchill Downs on Derby Day, and that gives fans a nice opportunity to meet him and shake his hand and get a photo and everything. But for the sake of the media on this call, we also thought the anniversary of Lil E. Tee and his success at Oakland, the success at the derby, this was an appropriate week to welcome back Pat and talk about not only those experiences, but also maybe get some impressions of this three-year old crop and some thoughts on riding the derby in general. So, we’ll give it a minute. Exactly. Exactly. Well, I can’t believe, just reading that this now, that it’s been 25 years since Lil E. Tee. So, I want to talk about just your derby win and what it felt like. I mean, it’s special for everyone who wins it. But, you know, when you think about the way you dominated Churchill Downs for so many years and the number of derby rides that you had before getting that one win, was that the ultimate on-track achievement for you? Oh, absolutely. You know, I look back over my career now and we rode some of the best of the best, and won a lot of the major races throughout the country. But that’s the one that changed that head and shoulders over the others. There’s only one Kentucky Derby, for sure. Well, in that image of you standing in the infield, looking up at the sky that now is immortalised in bronze and near the paddock at Churchill Downs, what was going through your mind at that moment when you finally got your derby win? Well, you know, my life changed radically in January 1984 when I accepted Christ as my Saviour and shortly after that, received a revelation that I was to take the talent and ability that he so generously bestowed upon me and to do the best that I possibly could, you know, looking for opportunities to give him the praise, the honour and glory. And I’d said leading up to the derby of 1992, that I’ve felt that there was a derby out there somewhere with my name on it. I didn’t know when and where that would come about. I’ve been privileged to be second in that [inaudible] race three years in a row previous to that, and thought I had an idea what it would feel like. But when Lil E. Tee when to the lead and it became apparent he was going to win the race that day, there was a feeling that is absolutely indescribable. It started way down in the pit of my stomach. And as we neared the finish line, it just erupted. And so, when I was standing in the infield with my hands up raised, looking at the heavens, I was just thanking Jesus for allowing me the privilege of having experienced that. I think it’s something that you have to experience to really understand how grand it is. You know, I’ve given serious consideration to try to come up with the correct words that would adequately express or describe or explain that, that people could clearly understand. And there’s only one word – that’s indescribable. Well, that was pretty beautiful the way you just described it. So, that’s just thrilling to hear you even talk about it. I’m curious. When other riders come to you to ask about riding the derby, which I’m sure must happen on a near yearly basis, but there is so much about that race that’s unfamiliar even to veterans, who are going a mile and a quarter, and there’s the crowd. And, you know, it’s not your typical race, there’s 20 horses. So what do you tell anyone who comes to you for advice on riding the derby? Well, it’s to try put in a category of just another race, which is difficult, if not, impossible. But, you know, you got to stay focus and just ride the race. Forget about what it is. It’s another race. You go in as all professional riders do, they into every race as well prepared as possible, and then go out and endeavor to do the very best they can and get the best out of their mounts. And it’s not unlike that in the derby. Of course, a 20–horse field, or a larger than usual field, a mile and a quarter, the crowd, there’s no way that you can, you know, prepare for that. Having ride in it 20 times – 21 times, it was a new and interesting experience every year. Interesting, interesting. Well, you’ll be there this year with derby experiences. And from what I understand, it sounds like you get to serve as just an ambassador of sorts for fans that book one of those packages. Is that a fun experience for you and is it something you’ve done before? I’ve done it for several years now. And I’ll be honest with you, it’s a most enjoyable experience, getting up close and personal with the fans and helping to add to their derby experience. It’s a wonderful opportunity for any at all, really. And, you know, going in to Kentucky Derby has to be on everybody’s bucket list. It’s just something that you can watch it on TV, but it’s nothing like being there. And derby experiences provide that experience for those who would participate. Very cool. Well Pat, let’s check with our operator and see if there’s any question from the media for you. Hey Pat. I’m going to ask you about two Oaklawn races, the Southwest, which as I recall was where he really learned how to rate, that you really had to teach him something that day. And then also the Arkansas Derby, when he got beat [inaudible] to [inaudible], did you think then, okay, we got him where we want him, after that race? Well, I would like to say yes, but you might recall, yeah – and we took in the school in the Southwest. We drag him back off the lead, made him relaxed and he finished up strong. And then we ran in the Turfway race, which was a good performance. He won that race. But as soon as he went to the lead that day, he come out the [inaudible], he failed to keep his attention and keep his mind on his job. And then we came up just little bit short possibly in the Arkansas Derby but I had the utmost confidence in trainer, Lynn Whiting, my dear friend and astute horseman that he is. I know that if anybody could bring him up to the derby in fine form, it would be him. And when we walked in the starting gate for the derby, I had a really good theory. I felt that we were going to get a great effort out of him, which we did. Of course, everybody was looking at Arazi and he was a short price favorite. When he went by me at that half mile, [inaudible] I was not really sure whether I was running for second money. But when I put him to task, he was up to the challenge and got the roses for us. It was a highlight of my racing career, for sure. Yeah. Okay, just – can you comment on the fine line between – you know, you want to win every race you’re in, if possible, but with these young horses and with the derby as the objective, there’s also the teaching. And sometimes, there’s two objectives confront with each other. You can’t necessary accomplish both. So maybe in the context of the Southwest, could you talk about that? Well, I think, we were willing possibly cost us a victory if – in an effort to get into – to control, you know, to contain himself and conserve himself and get the distance. The way he was running previous to that, jump in the bridle, standing in the bridle, running himself out early was not going to get to a mile and a quarter, for sure. Yeah, and when he was in the derby though, he was back farther than he’d ever been in the race, as I recall. So, like lesson learned, that would out that experience, maybe he’s not as content to be an eighth[?] or wherever he was early in the derby, right? [Inaudible] interesting the education, the education that if he had none had that experience earlier, where you said, okay, he’s going to has to learn how to rate, and this is going to be the time, the Southwest, he’s going to learn now because he needs to learn. But then fast forward to when he’s in the Kentucky Derby, he was happy being back there farther than he had ever been. But maybe that doesn’t happen if you don’t have this progression. You know I’m saying? I’m just – I’m not trying to put words in your mouth. I’m just trying to get at the, again, the education and the development of these horses. I think it’s interesting. Well, he could have come around without that possibly. I would like to think that that played major role. You know, as these three–year-olds come to hand, they grow, they mature mentally and physically and he could have caught on. You know, I’m not saying absolutely that had we not done that in the Southwest, had he – would he have come back in the derby. Lord only knows. But I’m glad that it worked out the way that it did. And in the derby, yes, he was a little bit further back than he normally was. He broke alert, but then turned off quickly, settled back into the field, steady just a little bit going into first turn when – I can’t remember the horse. The horse came out in front of me just to [inaudible], we had a steady for a jump. But he was comfortable and moving well at all points in the race that day. Yeah. And final question, just [inaudible], this is a horse who ‘s actually a very good sprinter – at least that’s what Lynn had wanted him to do. And it seems like after the derby though, things just didn’t go as smoothly as they had. And so I guess, when you think back on Lil E. Tee, you know, put him in perspective. Did we have a really to get to see his best, perhaps, you think? I would say no, I would say no. There was room for growth and for improvement and, you know, physical problems coming out of the [inaudible], you know, prohibited that. And subsequently, I don’t believe we ever did see his very best. The Kentucky Derby has often times been referred to as a jockey’s race because of the size of the field. Wayne Lukas once told me, it’s not a jockey’s race, the horses are running. So, I don’t know – as a rider, a veteran rider of the race for many years, what’s your thoughts on that, the importance of the rider? Because, obviously, you play some kind of major factor. Well, I think the riders are a major component, but you can’t drive a Volkswagen in a Cadillac race and expect to win. I concur with Wayne, you’ve got to be on the stock and they’ve got to be responsive. You know, obviously, in a big field, you’d like to have a horse that would respond somewhere like a sports car. You know, in a whole open, you could jump into it, then back off to the gas and they would be content to stay there and the next opportunity, you could call on, like jump into the spot for you. And they don’t always work like that. So, you know, but you’ve got to be on the stock, that’s the primary ingredient and then you have to get the trip. And then, you know, a good rider will try to orchestrate that, try to put himself in a position to take advantage of somebody else’s mistake, should they make one. But to give his horse every opportunity and make, you know, the running when it starts. I don’t know if that answered your question or not? Today – absolutely, yeah, the Volkswagen and Cadillac race, that exactly what an old boy like me is looking for, is something like that. That’s a good stuff. In today’s racing world, there are some veteran jockeys who are still at the very top of game, Mike Smith being one them. What’s your thoughts on that? Do you think things have changed any for the riders? Or – of course, you rode late in your career too. What’s your thoughts on that as far as how the game has changed, or has it changed it all for jockeys today? I think it’s still a very competitive environment. But, again, I get back to the stock. You know, I read somewhere after Angel Cordero retired or shortly before he retired, before he was forced to the sideline, but somebody was talking to him about retirement, and they said, “What’s the first thing to go that would prompt a rider to retire? Is it his back, is it his legs, is it his wind[?] or what is it?” thinking it was some physical aspect. And Angel said, “No, the first thing to go is your stock.” And you know, Mike – there’s no substitute for experience. And Mike is riding in the best form of his career. But he’s able to showcase that because he’s getting on, you know, wonderful horses. And [inaudible]. That’s really right, yeah, exactly. You know, somebody asked me the other day what was the key to my success as a jockey. Very simply, S-T-O-C-K. I told my agents all along, I said, “Put me on a horse that’s ten lengths[?] at best. I’ll win by a length and look good doing it.” And you know, a rider is only capable and able to get to out of the horse when he’s got inning. As his trainer or anybody else and any other aspects of the game, you can’t – you know, you can fine–tune a Volkswagen, and occasionally, you’ll catch a Cadillac that runs out of gas, but that doesn’t happen on a regular basis. Not always does the best horse win, especially in a large field – you know, you’ve got to get the trip and so forth, I understand that. But I don’t care how good a rider you are. If you’re not on a horse that’s competitive in that field, you really don’t stand much chance. You can’t make chicken salad without chicken, right? Tom Zenner, Jetset Magazine here, a pleasure to talk to you today. Thanks for taking the time. I guess I had a question for you regarding the derby experiences and what a great thing you do with them. And when you’re meeting with fans that recognize you and come up to you at the derby experiences, what is the one question that you get asked the most frequently? Yeah. So that question never gets old either. Hey, just one quick follow-up, what about fans, for our magazine, you know, they love experiencing things behind the scenes in a first-class way. What can you tell them about what they feel on the derby experience, to meeting you, and just everything that goes on that weekend? Well, derby experiences, they provide everything they could possibly need. From the best hotels, [inaudible] transportation, access in and out of the track, private betting windows, so they get to meet myself and Lafitt[?] through the course of the day and then just to be there. If you’ve not been to the derby, if you’ve not experienced 150,000 people joining together to see the last course in my old Kentucky home and watch the horses come on the track and to watch the derby run, and just that whole day, you’re missing out. You can watch it on TV, but it’s certainly not like being there. And as I said earlier on, I think one thing that – if it’s not on everybody’s bucket list, it should be. During the course of your career, many times, you had an opportunity to choose from, you know, two or three horses to ride in the derby. What factors went into your decision? Did you trust your agent entirely? What kind of conversations did you have with him? Like today, we just – Brian Hernandez has chosen to ride McCraken rather than Girvin, and that’s probably going to happen a few more times before we get to the first Saturday of May. Well, you know, everybody is wanting to get on the derby winner, but, you know – and I would sit down and we would look at the opportunities available to us. My agent and I would talk it over at length, taking into consideration the connections of those horses. At the end of the day, we wanted to make the right choice but we wanted to treat – the people that were loyal to us, we wanted to treat them right too. We wanted to be around for as long as we could and we wanted to treat everybody right and try to do right, but ultimately, we wanted to win the derby. So, when we had numerous opportunities coming into the race, we would meet with the connections of those horses, talk about our situation or circumstances, and make a choice that was comfortable with everybody. Did you ever make the wrong choice? So, we rode him in the Turfway race and he ran lights out. He came out of the race in good shape. So, I met with Mr. Nafzger and I said, “Carl, you know, I think pound for pound that possibly Summer Squall is the better of the two, and we’ve been with him all along. I’ve liked him since he was a two-year-old. So, we’re going to ride him.” Carl was able to get Craig Perret, you know, Hall of Fame jockey, very capable and he was comfortable with that. Then we ran against each other in the Blue Grass and Summer Squall won and I think Unbridled finished third. And then we came in to the derby and of course the tables were reversed. I don’t think that Summer Squall took forth his absolute best effort in that race. He cruised to the leader at the top of the stretch that day. If you’ve been to derby, you’d know when you turn into the stretch, it’s like running into a wall of noise. And it broke his concentration. He never really got back at it. And then, of course, he came back [inaudible] and beating somewhat the same way that he beat us in the Derby. But that was one of the times when I made the wrong choice. And Alysheba was another one that I’ve had the opportunity to ride him. I was riding Vanlandingham – or excuse me, Demons Begone. Demons Begone was coming out of Arkansas and there was $1 million bonus online. He won the two preps, the Rebel and the Arkansas Derby, and he had $1 million hanging in the balance. And we thought he was a good horse. He was a favorite going in and we thought we had a great chance of winning the race. He subsequently bled in the race and didn’t finish. And Alysheba went on and as you know, the rest is history with him. Pat, before we let you go, I’m just curious whether you’ve been following this year’s Derby Trail very closely and whether you’ve formed an opinion on the 2017 Derby yet. Well, I hadn’t followed it real close. I’ve been trying to watch some of the prep races, especially now that we’re, you know, within what – three and a half weeks, less than a month away. And it appears to me that it’s pretty wide open. There’s certainly hadn’t been anybody that I have seen that really stamped themselves as an, you know, overwhelming favorite, head and shoulders above the rest of the class. So, it should make for a great horse race. Very good. It will indeed. And Pat, we’ll hope to catch up with you at Churchill Downs Derby Week and maybe pump you for some more info then. Well, I look forward to that. Again, I appreciate you having me on. And again, I appreciate Derby Experiences giving me the opportunity to work with them on Oaks[?] Day and Saturday, to meet and greet the fans, and to maybe enhance their derby experience just a bit. That sounds great. I wish I could take one of those Derby Experiences, maybe some time in the future. But Pat Day, thanks so much for your time. It’s always a pleasure talking to you. And to you likewise. Thank you again. And happy Easter everybody, and safe and happy Derby to one and all. Pat Day, Hall of Fame jockey. 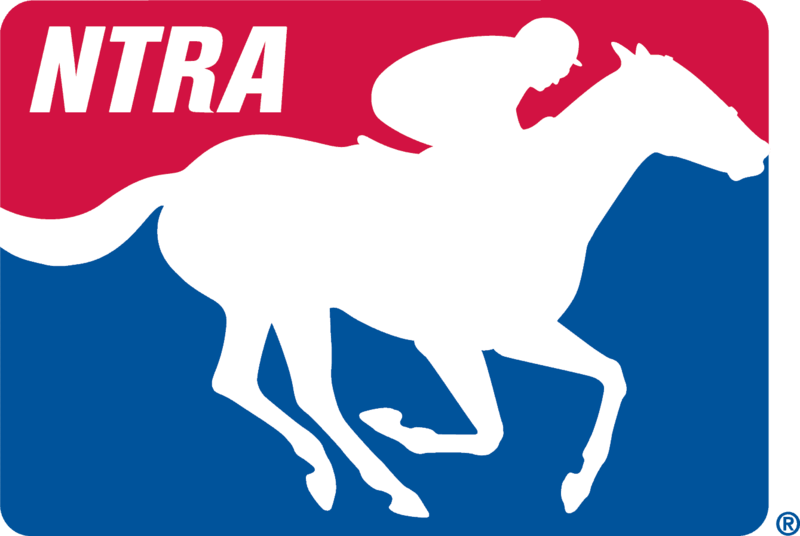 Concluding today’s NTRA National Media Teleconference. Thanks also to Todd Pletcher and Mark Casse for coming on.